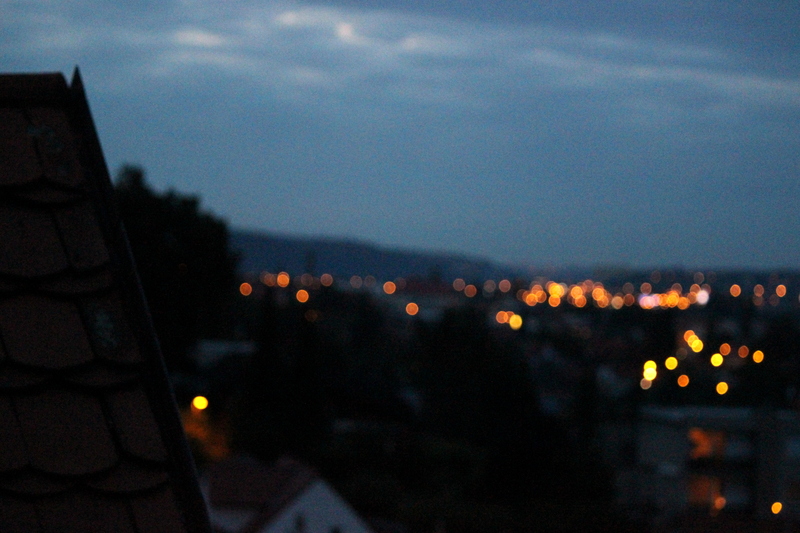 Zbraslav — The view from my bedroom window. It is still dark when I hear the gate shut behind me at 7:00 a.m. but, all things considered, it really isn’t as cold as it could be for a mid-November morning. I walk down the hill towards the bus stop, savoring the brisk air, the fading gold of the still-lit lamps and the sleepiness of the quiet street I live on. I’m up earlier than normal for a Monday (by a whole ten minutes, which is absolutely shocking), but I have a big day – no, a big week – ahead, and getting a head-start is something I’ve decided to practice as I evolve into a somewhat-responsible adult. The bus stop is lacking a few of its regulars this morning, or maybe it’s just that I’m early. If that’s the case, I should be early every morning because for once there are seats available when the 338 finally pulls up. We climb aboard and I ask a woman if I can scoot into the seat between her and the window. She looks disgruntled, but I’ve learned to be active in pursuing open seats on public transportation. Everyone is quiet. The girl standing by the door is nodding off. There are mostly high school students and business class workers on this bus. The blue collar employees will have been up earlier and the younger students are probably only just now finishing their breakfasts. The city’s university students roll out of bed at all hours, prisoners to the arduous schedules of their respective faculties. The drive into Prague is a pretty one at any time of year, but in the late fall it’s unlike anything I’ve ever seen. Too early for hoar frost and too late for the bright tresses of autumn leaves, the river valley and its surrounding hills and forests look dark and brooding. Everything is maroon, grey and chocolate brown, except for the river which runs like molten silver between the winding misty banks and pepper-grey trees. I switch buses just outside the city center and head out for the suburbs again. It’s still dark, but the veil is slowly being lifted off the earth and the heavens are peaking through. Across the river and up into the hills opposite the city, I get off at my final stop and it’s finally light. Mornings aren’t bright this time of year. Everything is grey and hazy. Honestly, it feels a bit like living in a fogged up snowglobe. But I don’t mind. The only time it ever looks like this in San Diego is right before the holidays, so this has put me in a festive mood. Because I have the time, I stop at the grocer by my school – Albert. It’s my VONS equivalent here and, frankly, it’s beginning to feel like home-away-from-home. I was happy to see the cardboard Christmas tree cutout in the entrance and their growing supply of holiday chocolates (which include chocolate villages because, why not?). Normally, I might grab a pastry (freshly baked Czech pastries are indescribable), but today I grab a warm, whole grain, bread loaf about the size of my hand but shaped like a diamond. I also purchased a small container of tomato-cream cheese spread. It all comes out to less than $1.50. Happy holidays, indeed. The walk to school from this direction is one of my favorites. The path leads past several blocks of apartment highrises, each separated by a scruffy lawn and shaggy trees. The path itself is also lined with trees, which means that as I walk I am shuffling through piles of fallen leaves. This is probably the last week they won’t be a problem. The color has already drained from them, but at least they’re dry. After the first rain they will turn into a slimy mush that grabs unsuspecting humans and drags them to the ground. Zombie plant life is the worst. Students troop into the school from various directions. They all seem to come in pairs of two, leading me to believe that our school really is a reincarnation of Noah’s Ark. Not only do the inhabitants possess certain animal-esque qualities, but on a proper Monday it really can seem like forty days and forty nights before we’re finally able to leave the building. Inside, I’m greeted by students smiling through mouthfuls of rohlíky, their hurried breakfasts eaten on the way to class. They try to high-five me but their arms are full of art supplies. Today, I don’t teach until second period, which means I have the first hour to eat my own breakfast and finish grading tests from last week. I’m finally learning how to grade on a curve, but it’s hard because I really just want to give everyone #1s. (They don’t give letter grades here – they allot numbers 1 – 5. I’m adjusting, but sometimes someone still gets a 2- or a 1+). During second period, my sixth graders practice the Thanksgiving play I wrote. Everyone wants to be a rabbit or a squirrel. The boys absolutely refuse to be Pilgrims because they don’t want to have wives. When class finishes, I troop back down to the second floor where my office is tucked away in a dark hall off the stairwell. Just before noon I wander down to the cafeteria. It’s almost empty so it is extremely quiet. As nice as the peacefulness is, I think I prefer the loud mobs of cheery students with bright faces and mischievous eyes. Option one today is an herby carrot sauce (more like a gravy, really) and beef chunks with boiled potatoes. It’s one of my favorite dishes here because for some reason it smells like home. Option two is a dish with bread dumplings and something Czechs call “universal brown sauce.” I am thankful I selected option one. The menu is in Czech so I don’t always know what I’m getting. Typical of Czech culture, both options come with a soup – today it is garlic and potato. I set my tray down, fill my glass with a sweet šťáva and set aside the yogurt granola bar for later. Then I bow my head and thank my Creator for his many mercies. And there are many. At a quarter to one, I teach a small class of fourth graders. It’s an afternoon conversation lesson so it’s much more casual, though I’m trying to help them understand that casual doesn’t mean chaos. My last lesson of the day is one of my favorites all week. Four ninth graders, two adorable seventh graders, varying levels of English. We push two tables together and I whip out an English card game (based on characters from Frozen, because, duh). Class wraps up and the kids stay a few extra minutes to help me put up chairs and to say goodbyes. I love those classes where no one wants to leave right away. The pitter-patter of their feet down the hallway fades and the echoing of their laughter softens as they disappear around the corner at the end of the corridor. I lock up the windows and head back to my office. More papers to look at, lessons to finish for tomorrow. Also, there are a few recipes I have to check before I leave. Thanksgiving is this week and I’m cooking for two different feasts, so as soon as I finish tomorrow’s prep, I grab my coat(s) and scarf and head out on the next round of errands: finding ingredients. Not yet 4 o’clock and it’s already getting dark. I leave through the teachers’ exit to find the sky sprinkling tiny water droplets. Mentally, I prepare myself for the zombie-leaves that will be here tomorrow. I take a bus back into the city center. We drive through a forest, down the hill towards the river. The wispy, pepper-grey trees look like a multitude of ghosts and forgotten spirits lifting their arms in despair, bare and melancholy in the early clutches of winter. Change is hard. The whir-thump-thump of the bus finally stops and I climb down into a roaring metro stop. It smells like people, concrete and cinnamon. The latter is courtesy of Fornetti bakery which sells pastries and kolače at the top of the metro platform. But I’m not hungry so I rush down the steps and hop on a rushing blur of red and white that whisks me off to Wenceslas Square (“It’s really more of a rectangle, isn’t it?” – said every American ever). It’s completely dark when I top the metro stairs and the long “square” is lit by lamps and store fronts, some of which have already strung white Christmas lights. I walk towards the top, catching tid-bits of conversation as I go. A young father is trying to teach his son how to say, “Taxík” as they hurry through the rain. I hurry too, trying not to slip on the wet stones,. No matter how practical you think your shoes are, they will never be a match for wet cobblestones. I find myself sliding every few steps. I’m off to the Candy Store, a British merchandising shop that carries Anglo-American products that are otherwise impossible to find in Prague. It’s a harder-to-reach store but it’s always worth it. I wander in and stay for longer than I need, distracted by all the tastes from home that I miss or equally new tastes from ol’ England that I’d love to try. Vegemite, anyone? But I’m here for brown sugar and canned pumpkin, both of which I find. Last year there was canned cranberry, but, alas, it is not in stock anymore. Purchases tucked into my bag, I set off again. This time, it’s Operation Dinner. I don’t tend to eat much in the evenings since moving here. Lunch is the big meal of the day and I’m not always hungry in the evening. Sometimes I’ll grab a thin slice of pizza at a bus stop on my way to Czech lessons or buy some fruit at a Potraviny outside class. But tonight I’m feeling like a sandwich from Bageterie Boulevard and nothing is going to stop me. Bageterie Boulevard is a cross between the French-cafe version of Subway and HEAVEN. They have the best potato wedges in the city and arguably the best hot chocolate (which is almost always out of stock). But best of all, the closest one is just downhill from me. The cars that roll by seem even louder in the rain. Rainwater slaps against their tires and harmonizes with the gentle grumble of their engines. Traffic lights reflect off the wet street surfaces making everything feel even more like Christmas (because, as a San Diegan, Christmas and rain will always be synonymous to me). The problem with the route I’m taking is that it never works. It’s a part of Prague I like to refer to as the Bermuda Hexagon. I have never entered it and come out where I wanted or expected to. Five minutes can turn into an hour quicker than you can say, “Well, where the heck am I now?” As soon as I reach the park bordered by the creepy old stone church I realize, I’ve been lost here before. There’s nothing left to do but keep walking, so I do. And few things have a stronger pull than the promise of dinner. When I finally find myself, I’m so far away from where I meant to be. However, this faraway place also has a Bageterie Boulevard and it’s a nicer one. Good things sometimes do happen to me. I crawl inside, drenched, and order a sandwich and coffee. The boy behind the counter seems extra nice. Either he’s impressed with my attempt to speak his language or he feels bad that I look like I just got pushed into a river. I take my food to the upper level and find a little table that looks out over the avenue. Directly across from me is Cafe Louvre. It’s pretty famous and, with the insides lit softly, I can see the blue and rose-colored wallpaper and neatly dressed tables. Down the street, a shopping center brandishes its Christmas lights. But inside Bageterie, all is calm and quiet. Families talk in lowered voices and friends chat in hushed tones. A few students are scribbling through essays or reading books. I wish I could stay longer, but I know I have to brave the wet and cold again. It’s time for Czech lesson. It’s a long walk through puddles and slippery sidewalks to get to my tram, but I don’t mind. I love the rain. As I approach my tram, I notice that a work crew is putting the Christmas lights on the trees in the square. My Czech teacher is one of a kind. She always seems to be in a good mood – though, as a teacher myself, I recognize that it could very well be an attitude she pushes herself into for the sake of her students. I appreciate her for it. But she’s funny and kind and puts up with most of my nonsense, so the hour and a half flies by. I say goodbye to the Italian man who was also in class today. Our girl from Hungary is missing this week. Going anywhere in cold weather takes time. Hats, scarves, boots, gloves. Layer upon layer is put on to protect from the thistley pangs of the cold. And it is cold outside. And wet. The tram stop is pretty full and there are no seats when the 9 pulls up. By this point, I’m just ready to get going. I’ve been out of the house for the last 14 hours. I want to go home. But the way home is a long one. Tram to metro. Metro to bus. It’s a lot of running down stairs and squeezing through marshmallowed people decked in their winter coats, trying to make short connections and cut my commute down to as short a time as possible. It still ends up being almost an hour. Right before I dive into the metro entrance, I notice two policemen guarding a sectioned off corner of the walkway. Between them is a large puddle of something much redder than rainwater. I pause for a moment in the blending of motion around me and wonder what happened before tripping down the stairs, back into the abyss of the underground labyrinth I hope will take me home. I hope everyone makes it home tonight, despite what that puddle might suggest. Not every day ends the way we hope it will. When I finally sit down in the safety of my last bus for the day, our last cycle around the sun fades into one blurry, tired memory. No one is speaking on this nearly empty bus, dimly lit by three mellow-yellow bulbs. The ghostly scenery is gone, replaced by pitch blackness and silhouettes of trees or bridges barely outlined by streaks of blue and grey. It’s a short walk from the bus to my house, but it’s the best part of my day. It’s three minutes in which I am not in a hurry and have nothing to do but keep putting one foot in front of the other. At the very edge of Prague, a village nestled in quaint woods and the sloping banks of the Vltava, Zbraslav is the kind of place where falling asleep at night is easy. The nightly noises are calming, like the train that whistles across the river, pulling and pushing its way across the tracks. Even the continuous dribble of rain is pleasant. Smoke wafts from chimneys and the lamp posts reflect in the wet stones beneath me. It was dark when I left this morning and it’s dark as I return at 8:45. The lane still feels sleepy, though now falling asleep, rather than waking from it. It’s chilly, but all things considered, it’s not as cold as it could be for a late evening in November. “Are you ready for this?” she asks as we step onto the metro escalator and climb out into the grey sunlight of one of Prague’s most distinguished avenues – Národní Třída. I nod but in truth, I have no idea what to expect. On the 17th of November, the Czech Republic celebrated 25 years of freedom from communism, a birthday not wholly unlike American Independence Day. But my only taste of remembering sacrifice and honoring hard-won liberties is from 4th of July picnics with streamers and fireworks every year. The street we fall into does not look like the kind of celebration I am used to. It is a mass of people moving slowly along the avenue with subdued, if not somber countenances. Trams have been stopped and traffic rerouted, so from sidewalk to sidewalk it is one continuous flow of human beings. “Do you have parades in the USA?” my Czech friend asks me. Eliška guides us through the flow of people as she questions me about our differing cultures. This is hardly a parade. It seems more like a march to me. A march through various street vendors and concert stages, all mid-performance but with little crowd reaction. It’s like walking through the halls of a museum where all the exhibits are alive but the stoicism and concentration of the patrons remains the same. We leave the sidewalk and find ourselves in the middle of the current. 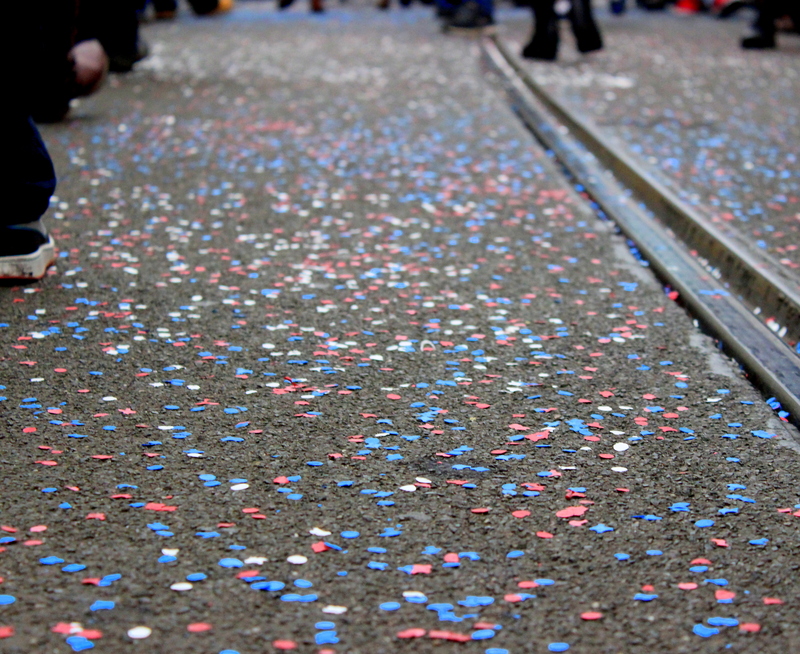 Below us, red, white and blue confetti has fallen into the grooves of the tram tracks. In fact, the whole avenue is covered in heaps of colored-paper bits that blow down the street in swirls whenever the wind picks up. Eliška explains that it was called the Velvet Revolution because so few people were hurt. Somewhere down the street we run into a makeshift structure that looks like a jungle gym you might find on a playground. There are already several small children sitting or pulling themselves on top of this one. 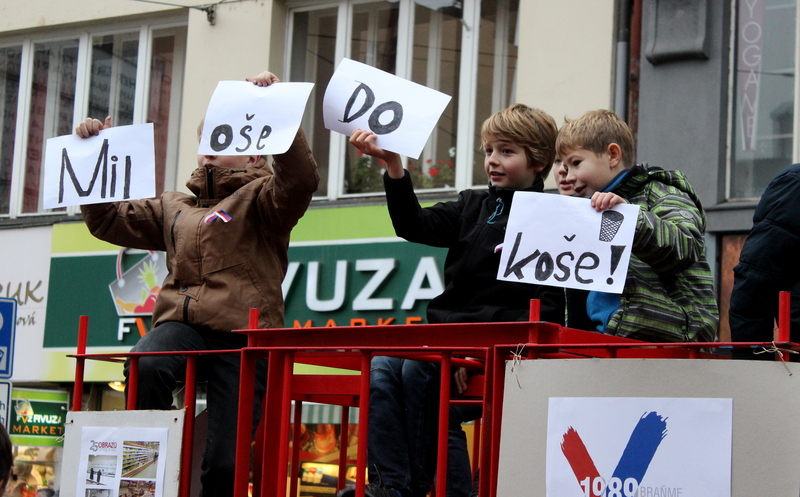 They hold signs which say, “Miloše do koše.” It looks like a cute rhyme but it means “Miloš to the garbage.” Czech President Miloš Zeman is not a popular man here. He has a reputation for drinking excessively at inappropriate times and is generally considered to be a bimbo. Most recently, he let loose a string of vulgarities in an interview that made international headlines and inspired a musical remix video replayed over and over on children’s mobiles in the hallways of the nation’s schools. “Sure,” I say, still watching the children gleefully hold up their little signs. The avenue spills out into a street that runs along the river and the parade halts. We climb back onto the sidewalk and pass a number of masked parties and oddly constructed floats. I cannot help but think that most of these groups are probably involved in some sort of demonstration with references to Czech folklore that I do not understand. The ghouls and disfigured faces occasionally take off their masks to smoke or chug from a beer bottle. 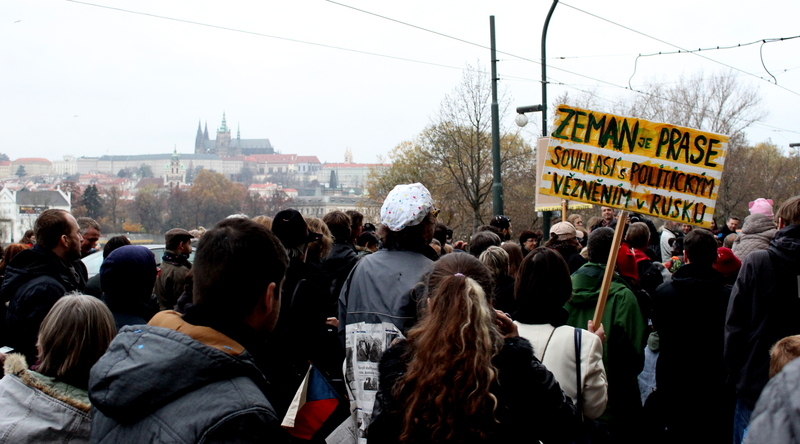 Further down, more marchers have pooled together with signs that say things like, “Zeman is a pig.” It is the first day that looks like winter. The trees have finally lost all their leaves and the sky is hazy. But the waters of the Vltava below us run silver and the red and teal rooftops of Prague seem frigidly awake. 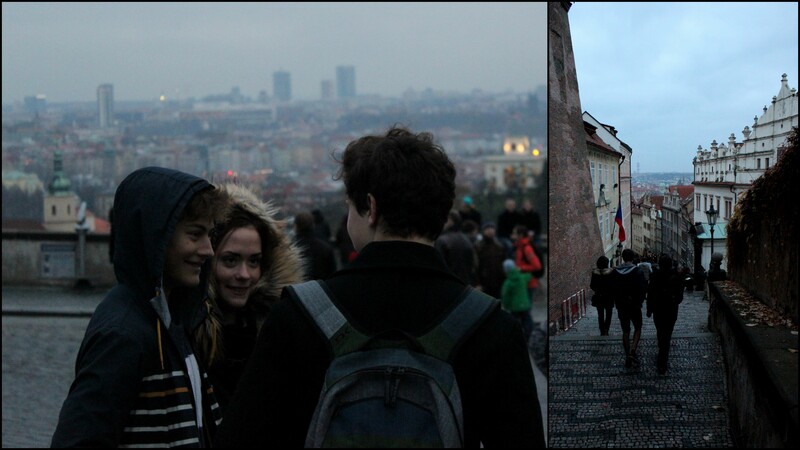 We cross the Charles’ Bridge and head up the hill to the castle compound. Eliška knows a back way so we avoid the waves of people who are crawling up the cobblestone path towards the thousand-year old castle and the protesters in front of it. When we finally breach the crest of the hill, a sprawling lawn of grey bricks lays in front of us. To our right is the castle, gated with iron bars and menacing statues of gargantuan men brandishing pre-medieval weaponry. To our left is the city, falling quickly and then stretching out over the smaller hills lining the ghostly, great river. And directly in front of us, crowding the square, are thousands of people holding signs and chanting. Most of them are holding red signs the size of a large postcard. Some have signs that Eliška refuses to translate because of the vulgarity. The crowd is determined to throw Zeman’s careless speech right back at him and the result is not flattering. Later in the evening, a moment we would miss, a different crowd of protesters would be throwing eggs at the president. But for now, the hostilities are only verbal. “A little off-topic, isn’t it?” I ask. I laugh, but only because I have learned to appreciate that Czech humor revolves almost entirely around sarcasm. The crowd starts chanting something and Eliška shakes her head. Eliška spots some of her schoolmates and we walk over to them. “I have never heard that name before,” I whisper to Eliška. I am realizing that this is fairly standard for language crossovers. Some things in culture cannot be paralleled. The boy in question wanders over to us. He has dark hair that falls into his eyes and thick glasses. He looks every part the student. Young and antsy, the group begins to pull away from the crowd and move downhill. “Shall we follow them?” my friend asks me. I nod. Always follow the locals. We are joined by Pinda’s friend, a lanky boy with a snarky lip. Our flunk of students crosses back over the Charle’s Bridge in scattered pairs, regrouping beneath the ominous archway at the end. We split ways with the fur-jacket girl and her posse, taking Pinda and his friend with us. The sky is darkening quickly even though it is only 4:30 and it is bringing with it a steep drop in temperature. We hug ourselves through thin coats and threadbare scarves, wandering to stay warm. 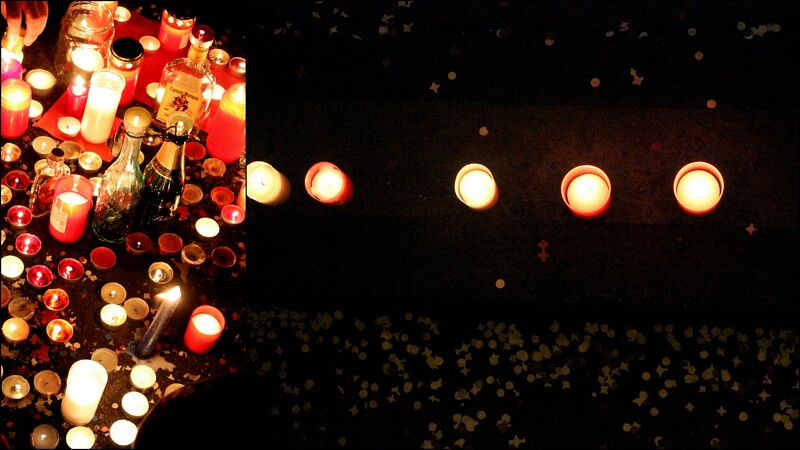 Národní Třída is still packed with people, but now candles line the curbs and create pockets in the middle of the street. Small children squat around the shrines, entranced and wholly unappreciative of what they represent. We meander on until the lanky boy pulls us down a narrow alley, past the police blockade and the street musicians. It is even darker in the alleyway and when we finally stop, we are standing in front of a primary school where an older boy and girl sit coolly on the front step. I listen in on their conversation but it’s tough to understand. Eliška helps. I shrug. This girl isn’t the first I’ve met who is completely disenchanted with her homeland. I’ve seen a lot of young people here searching for identity in their nationality. Americans seem to be bred with patriotism. But the Czech Republic is a young country and they are still fighting for what they believe they deserve – like a President who will respect them enough to respect his position in office. They are still in the adolescence of liberty. Back on the street, we weave through crowds till we find Eliška’s classmates, two girls nibbling on slices of ham on bread rolls and chewing their fingernails to stay warm. The boys say their farewells and our new companions produce a packet of svíčky – candles. Eliška has a lighter so we find a curb and ready our tributes. “Do you want to light one?” Eliška asks me. Honored to be included in their act of memorial, I take a candle. We walk a ways to find a spot where it looks like the wind won’t blow out the tiny wicks. The girls set theirs down first. Their eyes glow softly and I wish I know what they are thinking. Pražačka. A girl from Prague. A girl like them, raised in the early swell of a long-fought for freedom, still new enough that it is sweet on their lips and strange to taste. A first generation born into something they didn’t earn themselves and yet still surrounded by the living ghosts of those who bore the yolk of a harsher world. A generation trying to find its own way. But that is me. That is my generation. That is every generation that didn’t have to sacrifice for what it was given freely. So I light a candle and I think of my liberty-loving forefathers. I stand with my newfound sisters and we watch our candles and celebrate something that crosses cultural barriers. The candles are small, but together with the hundreds of other flickering flames along the avenue, they light up the whole street. Tomorrow is your birthday so if there was ever an appropriate time for your inner monologue to give some more 3D advice, I guess this is it (-That’s me, by the way. I’m your inner monologue. You may not know me very well because your outer monologue is a bit of a conversation hog). Anyway, it’s nice to touch base once in a while. The fact that you’re listening to Taylor Swift and writing letters to yourself makes me think you probably haven’t changed much since we last talked. 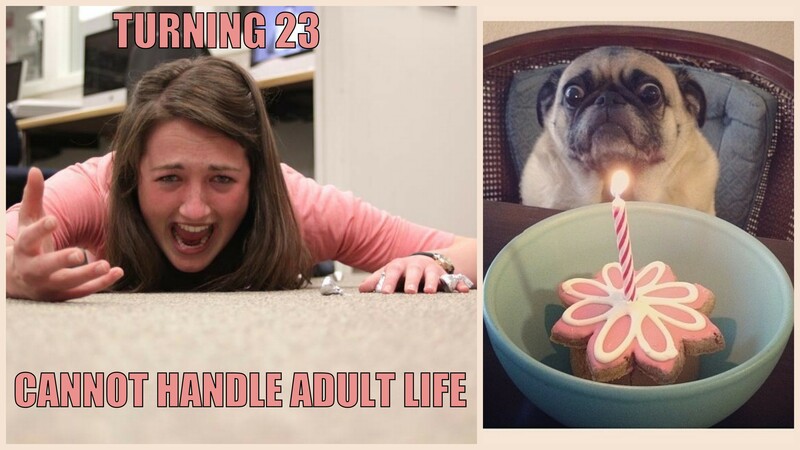 The fact that you’re binge-eating your birthday candy right now reinforces that suspicion. Listen, I don’t know how long you’re going to stay focused before some 3-minute video clip on facebook breaks your concentration, so I’ll get right to this. It’s time to grow up a little. Woah there! Don’t get so worked up! That was not an insult or a threat or whatever. But there is a time to be a child and a time to be a “young person” and there’s time to start assuming some basic adult responsibilities and habits (‘now’ being the latter of those times). This isn’t going to be scary. It’s not going to be “lame.” And hopefully it won’t throw you into a 2-month depression where you only listen to Kenny Loggins’ “Pooh Corner” on repeat like you did when you turned 17. (That would have been a good time for me to write you a letter).